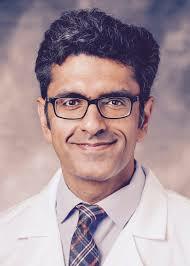 BOURNE END, England, September 25, 2018 – US Cardiology Review (USC) Journal announces the appointment of USC's new Editor-in-Chief, Dr. Ankur Kalra effective from Sept. 6. Dr. Kalra is a Clinical Assistant Professor of Medicine (Cardiology) at Case Western Reserve University School of Medicine, and a staff cardiologist at Harrington Heart & Vascular Institute at University Hospitals Cleveland Medical Center. He has sub-specialized training in interventional cardiology and structural heart diseases. His research interests include cardiovascular care quality improvement in low and middle-income countries, and health economics, outcomes and policy. I am both excited and honored to accept the position of Editor-in-Chief for Radcliffe Cardiology's U.S. Cardiology Review. This opportunity has come to me at a befitting time in my early career, and I am keenly looking forward to engaging my contemporaries in developing succinct, relevant, and up-to-date review articles for busy clinicians taking care of patients at the trenches. For the busy clinician, we, at U.S. Cardiology Review USC, aspire to be the go-to journal for delivery of evidence-based, resource-mindful, and up-to-date patient care. Radcliffe Cardiology would like to thank Professor Donald Cutlip for his editorship of USC over the last 2 years and wish him well. He will continue to remain involved with the USC journal as an editorial board member supporting the incumbent Editor-in-Chief.